Praying For Our Kids. . . Beautiful And True After 400 Years. . . When the nexus occurs, it brings great joy. It happened again yesterday. . . and it always leaves me excited. Yes, God still speaks. I reached the milestone of 61 years on this earth yesterday. (The birthdays seem to come around more quickly these days, and I seriously feel like yesterday was the day I graduated from high school. Our days are truly like the grass of the field.) When I opened my Scripture Union Encounter With God Scripture reading guide, it was as if the passage for the day, Psalm 71, was put there just for me. The Psalm holds a special place in my heart that has become more treasured as the years pass. Verses 17 and 18 became a sort of personal prayer for me more than a decade ago: “O God, from my youth you have taught me, and I still proclaim your wondrous deeds. So even to old age and gray hairs, O God, do not forsake me, until I proclaim your might to another generation, your power to all those to come.” Yesterday, realizing that I’m now 61, verse 9 jumped right into my lap: “Do not cast me off in the time of old age; forsake me not when my strength is spent.” I’m not there yet, but I’m on my way. “Burning out bright” and “going out in a blaze of His glory” have become important quests for me. I trust that by His grace that will happen. And then this was piled on top of yesterday’s encounter with Psalm 71. . . a prayer written by Samuel Rutherford all the way back in 1637. 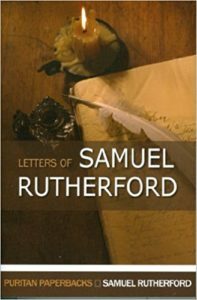 Charles Spurgeon believed that among mere mortals, Rutherford may have been the most inspired writer of all. Reading a collection of his letters has been soul-nurturing and encouraging to me over the past couple of weeks. 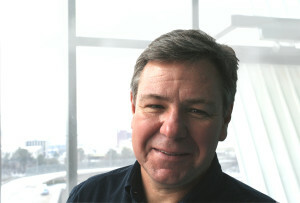 In a letter to John Gordon, Rutherford shares this prayer for Gordon’s children. . . for all children in fact. And what Rutherford prayed almost 400 years ago reverberates today, especially for those who ask God to grant them the power of proclamation to the emerging generations in today’s world. . .
Perhaps there is no greater responsibility we have than to prayer for our children and nurture them in the faith. Nothing more important. 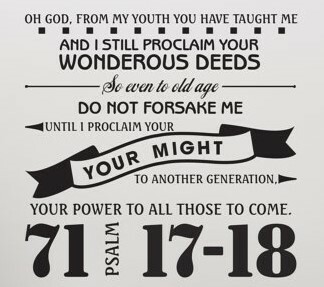 . . except perhaps that we echo the prayer of the Psalmist in Psalm 71:17 & 18. Make us hunger and thirst after you dear Lord. And, may we effectively pass on the hunger and thirst to our kids. ← Scripture. . . Not What You Think It Means. . .